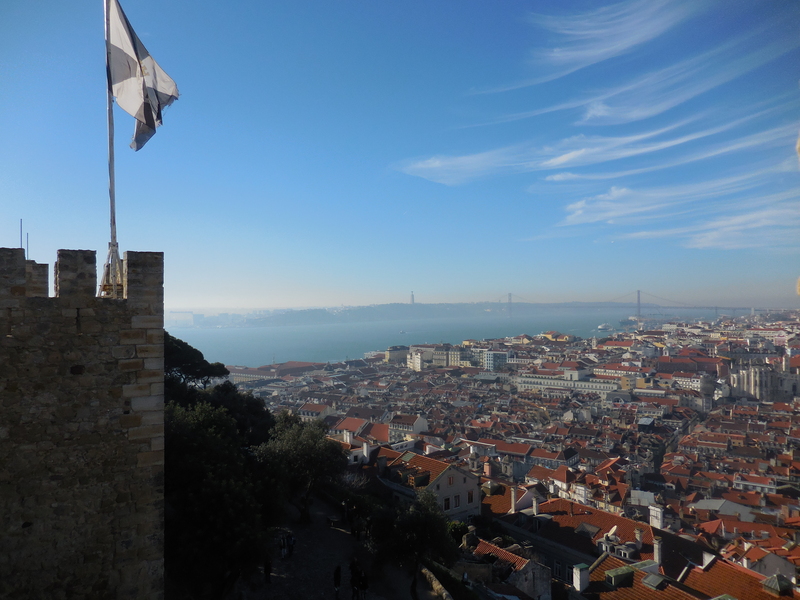 Lisbon, Day 2: Castelo de São Jorge, Sé de Lisboa, Igreja de São Roque, and Flaming Sausage! On January 2nd, we woke up bright and early to take advantage of the day since everything was closed the day before. We wisened up and decided to take a taxi instead of bothering with the public transportation, per our concierge’s advice. 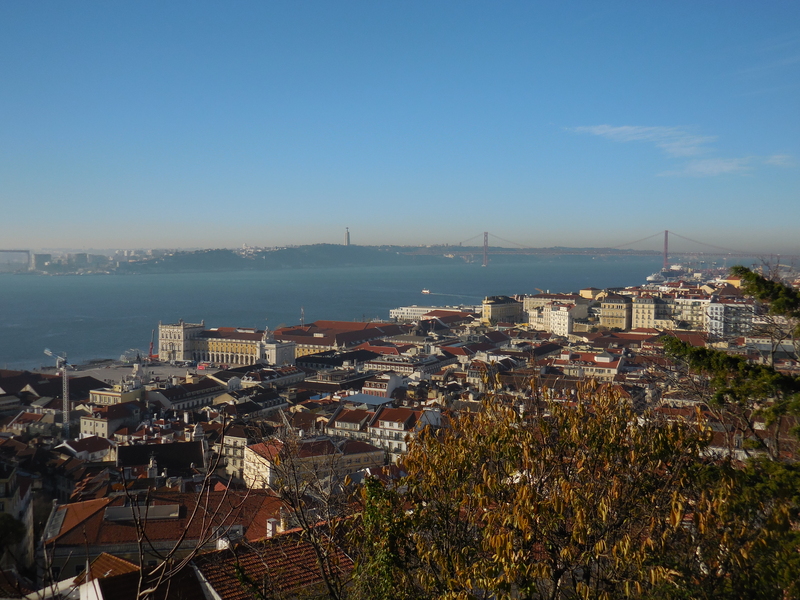 It only cost us €7 to go from one side of the city to the other, and up a steep hill! For 2 people, that was fantastic. If you have problems walking uphill, or are just plain lazy, do not try to make the trek all the way up. Get the famous trolley or grab a taxi. 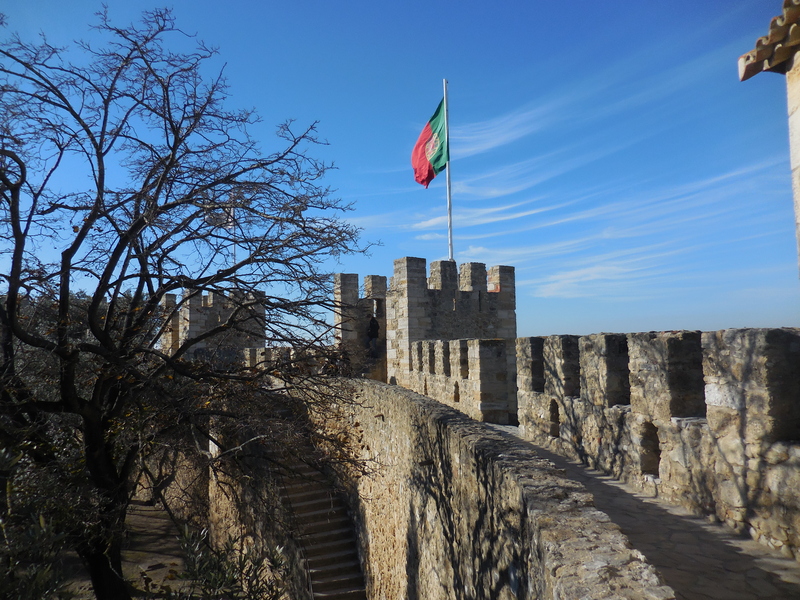 We started at the Castelo de São Jorge, or St. George’s Castle. 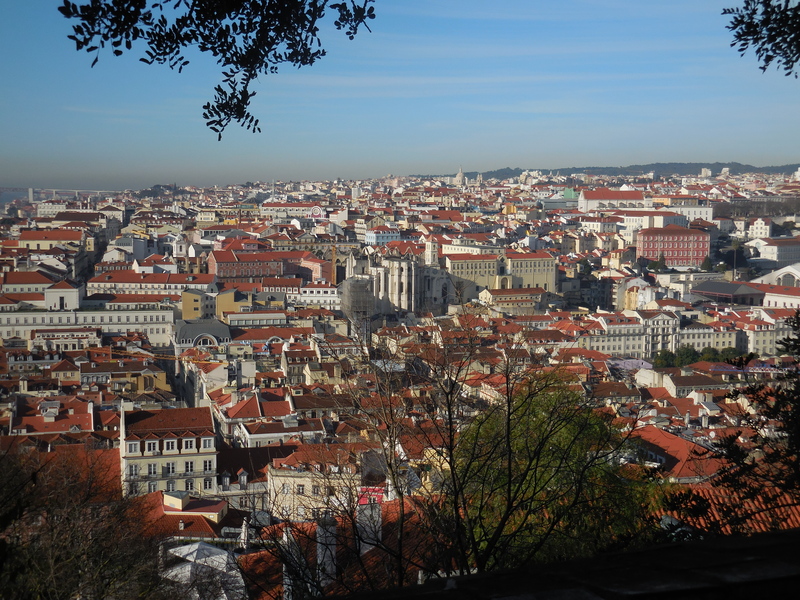 It is at the top of the hill overlooking the entire city, which gives it some absolutely breathtaking views. I’m pretty sure I said “wow” more times than is socially appropriate. Once again, with the lovely view of the bay, the hills, and that red bridge, I kept thinking we were in San Francisco. 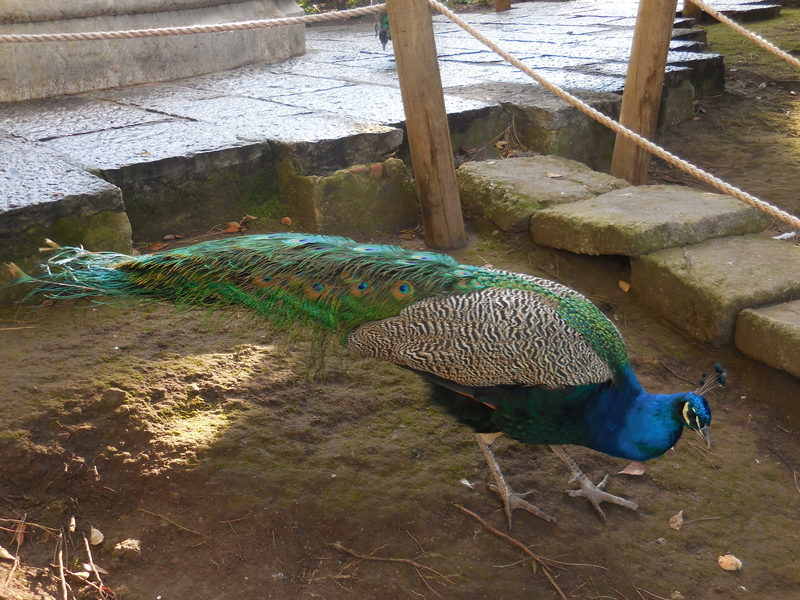 When we were done gawking at the city skyline, we walked through the castle walls and were introduced to some gorgeous peacocks. There were at least 15 of them just chilling in the courtyard. 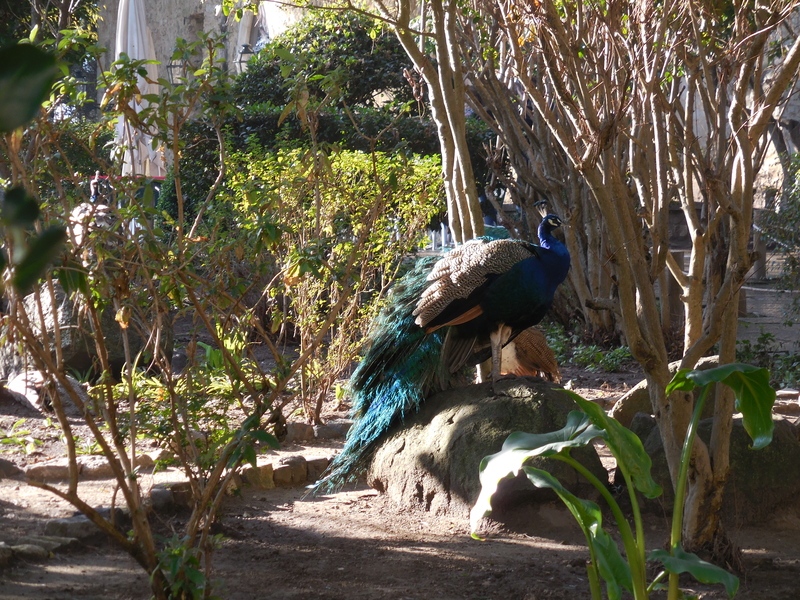 Who doesn’t love peacocks? They’re just so goddamn pretty. Very nice touch. 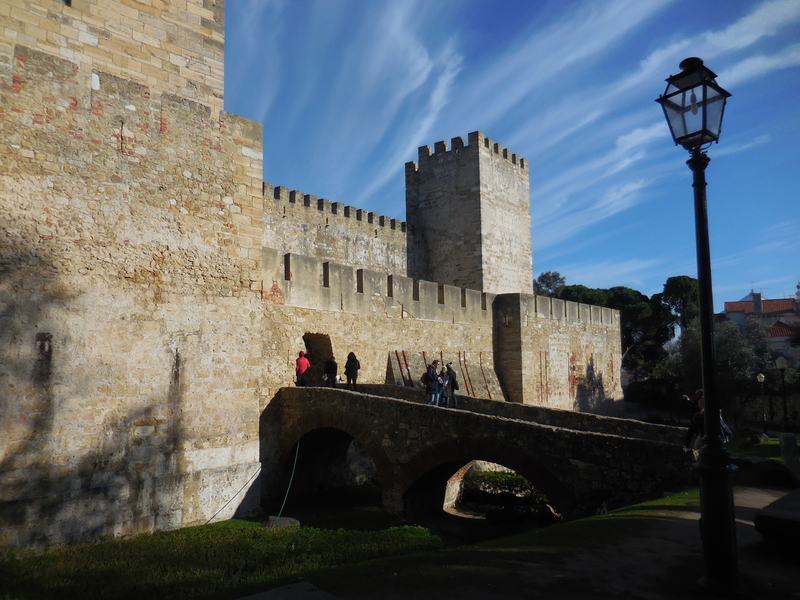 Then we reached the actual castle, which dates back to the medieval period and was built by the Moors. It was nothing all too interesting, though. Perhaps a guided tour (which I’m not sure they even offered) would be more educational and interesting. We just ended up wandering around, climbing all of the turrets and stairs we could see, and snapping away. There wasn’t any art on display or any educational signs explaining anything, so that’s pretty much all there is to do there anyways. But hey, you’re in a castle… which is pretty damn cool. Quick note… if you’re afraid of heights, you might have a problem here. My mom is, and she was terrified at certain points because there were no hand rails. 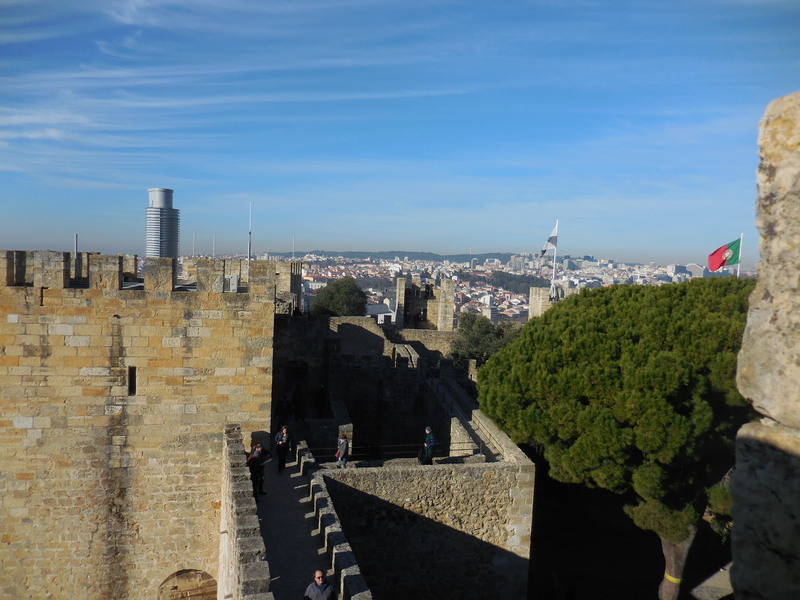 From the castle, it is a short walk (downhill – hooray!) 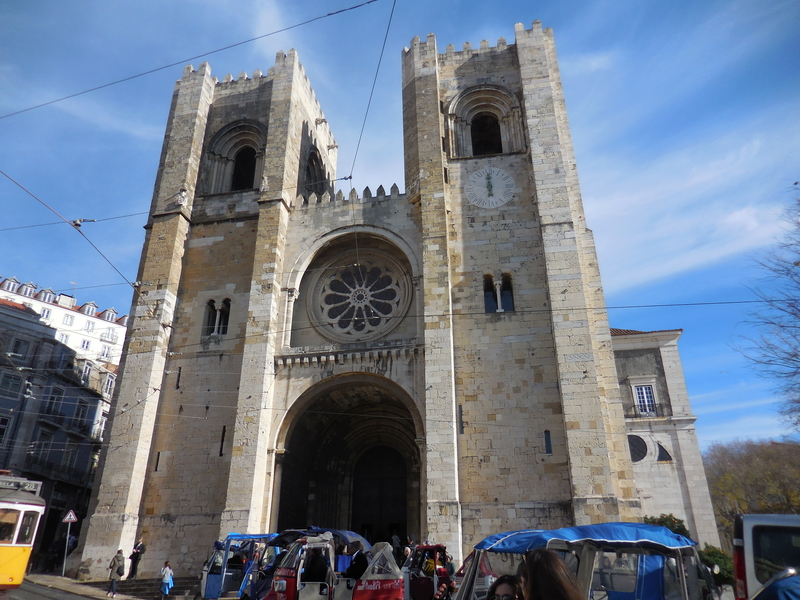 to the Sé de Lisboa, Lisbon’s oldest cathedral which dates back all the way to the year 1147. Crazy, right? It is unfathomable just how old some buildings are and how much history they have. It is free to go inside, but towards the back you have the option to see the cloisters for a fee. We decided against it because we have seen our fair share of cathedrals in our lifetime. We ate lunch again at the My Story Hotel that I mentioned before, which has delicious cabbage soup and Portuguese dishes for good prices. 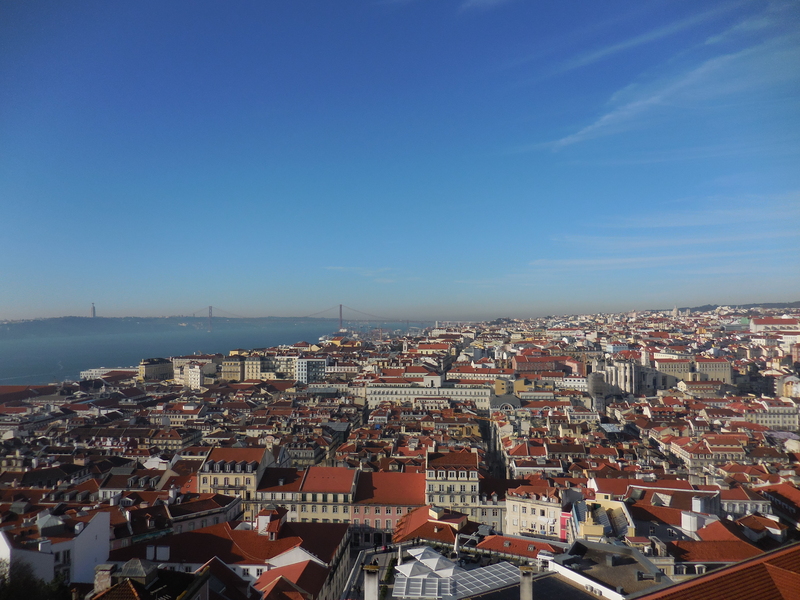 Then we headed to another part of the city we hadn’t yet visited to the west of Chiado called Bairro Alto. To get there, you have to find hidden elevators or take the famous Santa Justa Lift (we decided against it because we had already seen lovely views of the city). After asking numerous people, we finally found the correct door and elevator to get there. It took us up to a multi-story mall, where on one of the levels you could exit back out onto the street, but on the other side and at a higher level. It’s very interesting how they constructed this city! 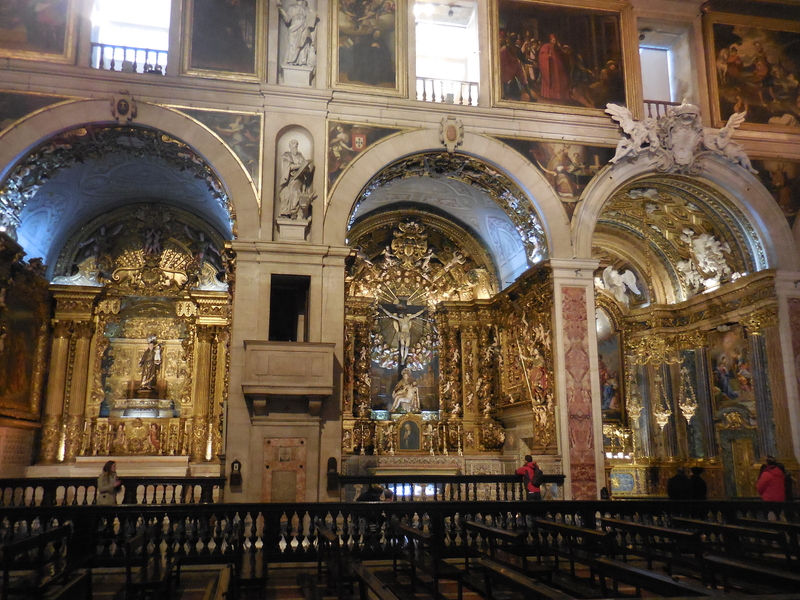 We arrived at the Igreja de São Roque, the world’s most expensive chapel. It really doesn’t look like anything special from the outside, and I was a bit worried that we had wasted our time in coming. However, when you walk in, you can see how it won this title. Everything is covered in gold, it’s insane. 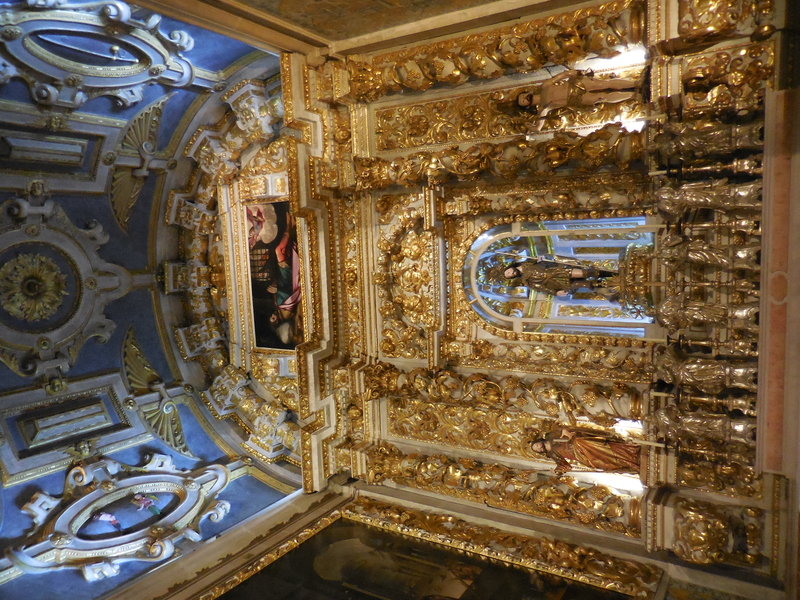 It is very lavishly decorated on all sides. It was interesting to see, and had free entrance, but honestly this is something you can skip unless you’re a deeply religious person. From the outside… pretty plain looking, eh? 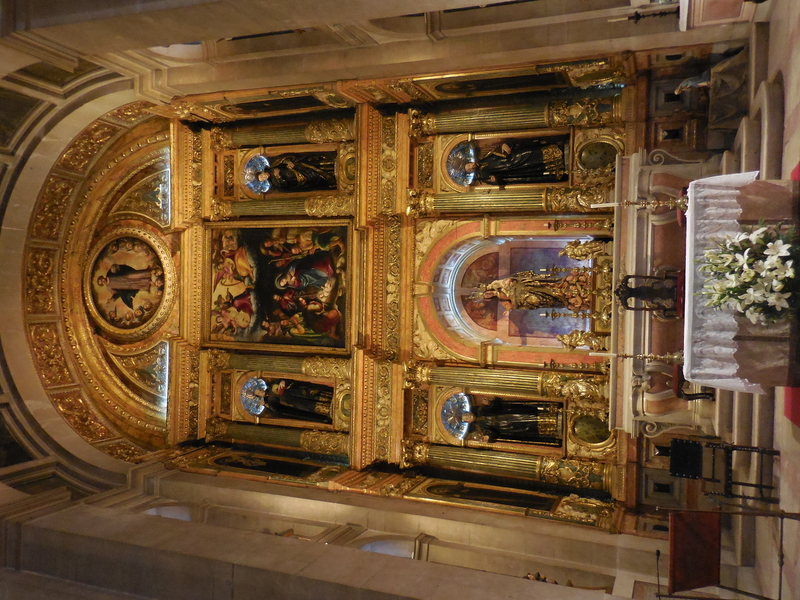 Especially for the world’s most expensive chapel. 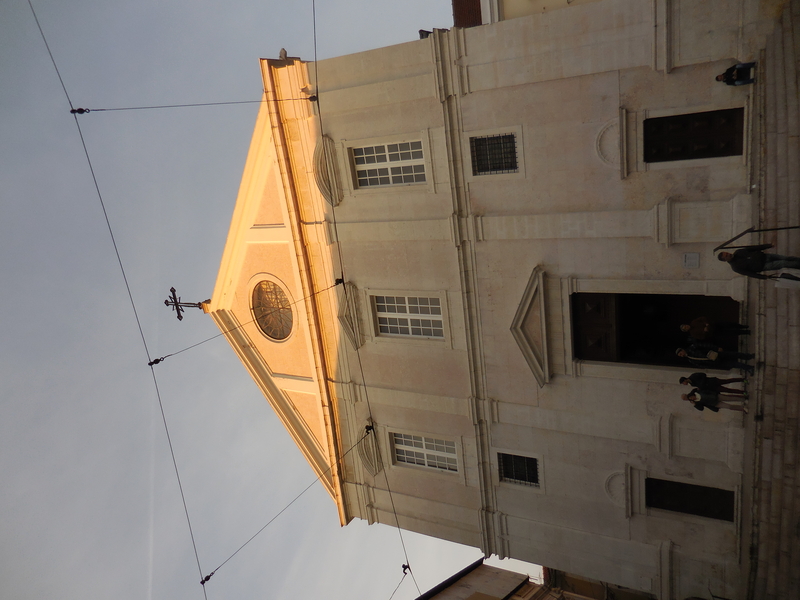 After that, we didn’t feel like walking across the city yet again (plus we had some shopping bags weighing us down). So we found a little wine bar called Wine Lover Bairro Alto (let’s be honest, the name got us inside). It was a lovely bar with a knowledgeable waiter who told us about all of the different wines and encouraged us to come back later that night for some live music. After a glass of vino, we shopped some more and came back! The waiter there was amazing. 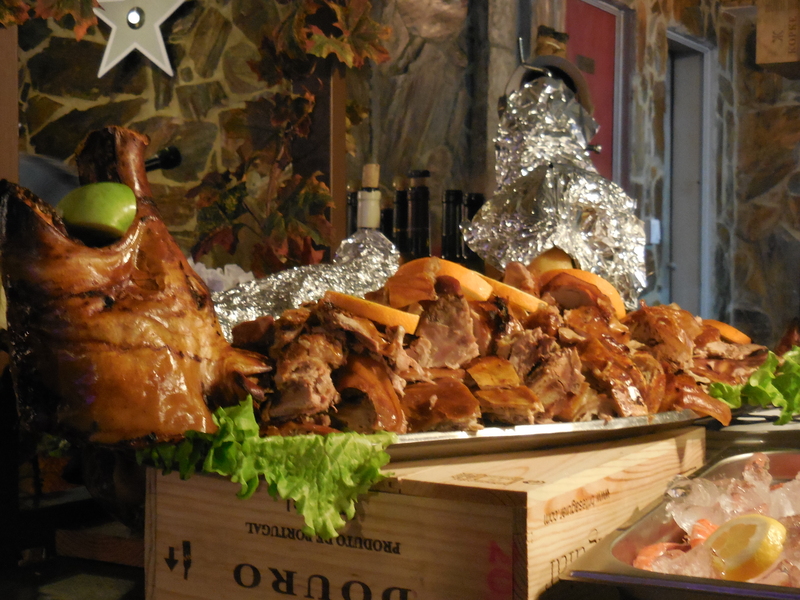 When we came back later that night, they had prepared many big plates of food that you could choose from, such as the pig shown above. It looked amazing, but unfortunately we didn’t try it. 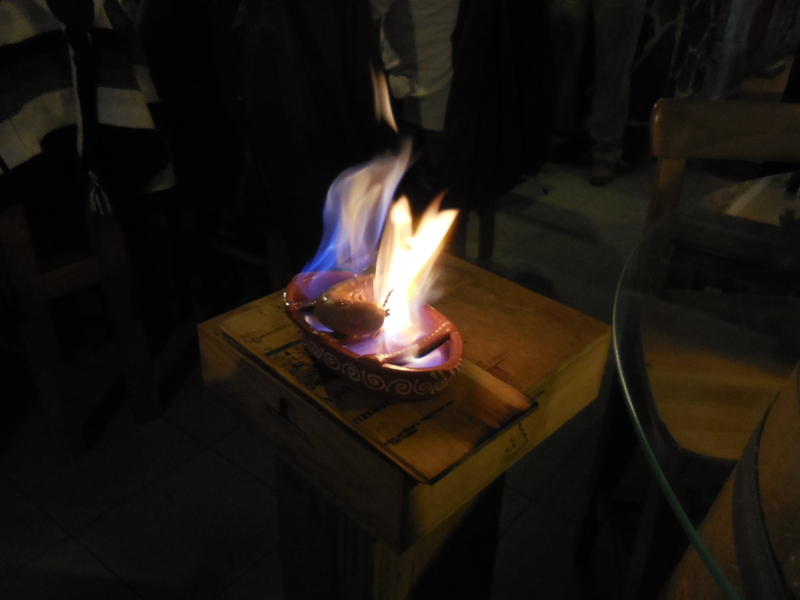 Instead, we tried a portuguese specialty called Assa Chouriço, basically a flaming sausage. They have special serving plates (that kind of look like mini boats) where they pour oil into the bottom part, place the sausage on top lifted up from the oil, and then set the whole thing on fire to cook it in front of you. It is super cool to try! Expect to get the attention of everyone in the restaurant, also trying to steal pictures… but totally worth it.